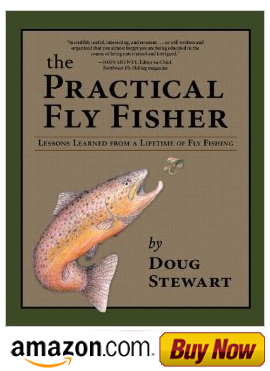 Fly Fishing with Doug Stewart: Speeding Up the Fly tying Process. How to hold your fly tying scissors. 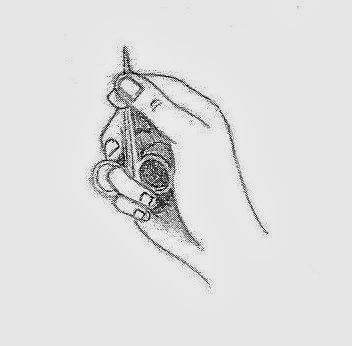 The way you hold your scissors can speed up the fly tying process. Many fly tiers prefer to leave their scissors on the tying table when attaching materials to the hook. But it takes extra time to constantly pick up the scissors, make a cut and place them back on the table. If you learn to hold the scissors correctly in your hand when you are handling and cutting materials, tying flies can be much faster. Depending on the size of your hand, place your second or third finger into the finger loop. This facilitates the process of picking up, attaching and cutting materials. It also eliminates extra hand movements and allows you to tie more flies in a shorter amount time.